The New Solar Powered Well is Pumping Water in Alale! 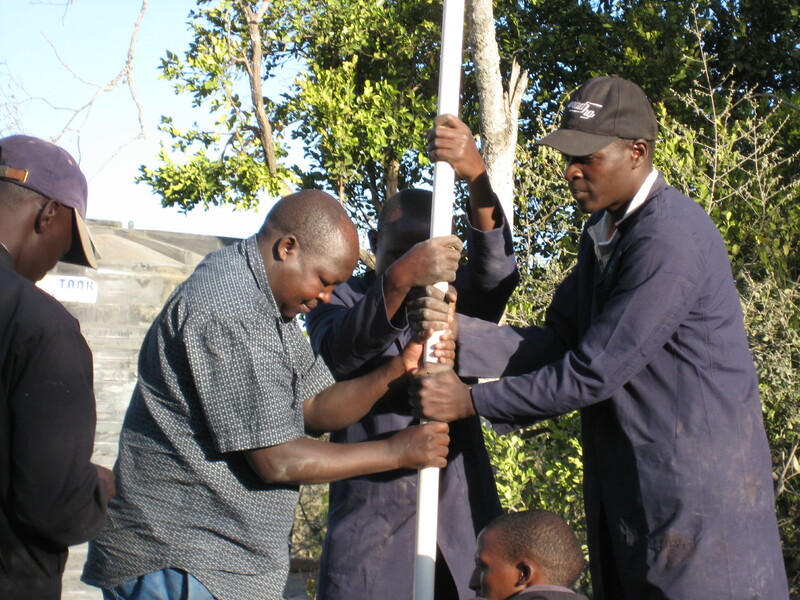 The New Solar Powered Well is Pumping Water in Alale! This reliable source of water will improve conditions for the entire community. It will especially benefit the women, relieving them from walking hours one way and waiting in long lines at hand-dug wells in dry riverbeds. 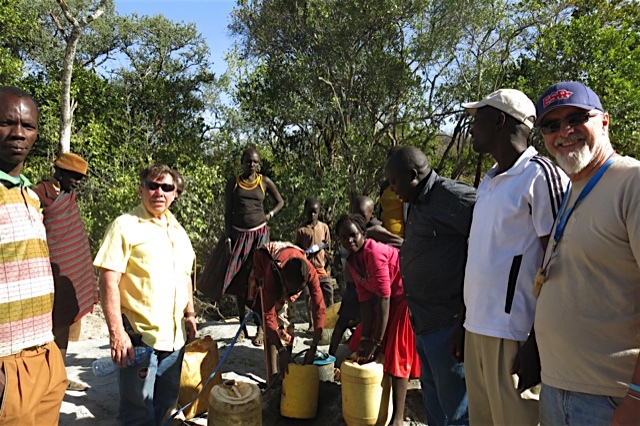 Bringing water to Alale was a huge project and the work of so many hands. In January 2016, the existing shallow well near Michael’s village in Alale was confirmed to have gone dry. 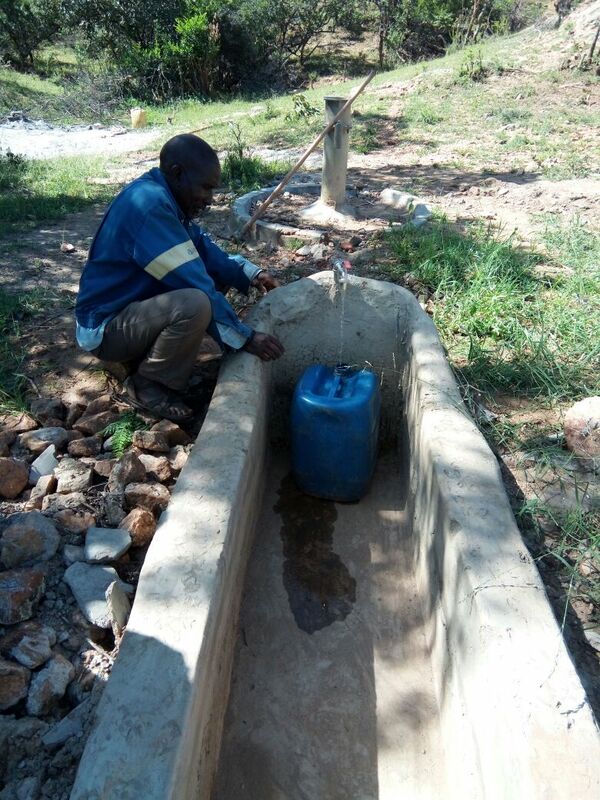 This was the only well that provided water to Daylight Alale school, church, and the surrounding families. The existing pump equipment was removed and the well abandoned. During Michael’s visit to Minnesota in the Spring of 2016, the Stillwater Sunrise Rotary Club was approached with a request for funding a new a solar-powered well that would pump water from the desert water table over 175 feet underground. Ed Boeve sponsored our request, and a campaign was launched with other Rotary Clubs in the District. The grant was approved in the fall of 2016. 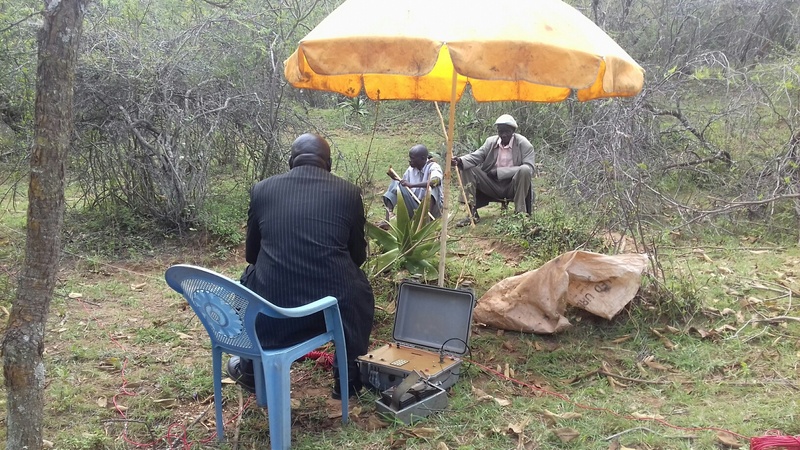 The first step was a site survey by Mirobe Engineering & Water Service to select a suitable location for the new well. Three locations were identified and the best option selected. The next step was to mobilize a very large drilling rig furnished by Majitec to drill. Then, we had to install metal well casing down to 575 feet down. The pump is at a depth of 510 ft. This will permit a drawdown of 345 ft of water. Next, we procured the pump and solar equipment and partially installed them in January of 2017. Michael Kimpur assisted with the installation. 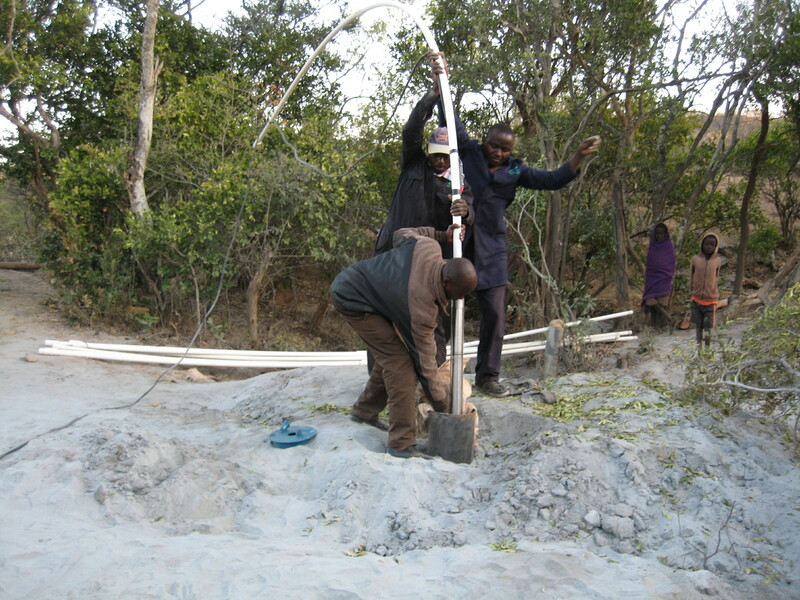 The pump and well were tested, and samples of the water were retained for testing alongside the Stillwater team and US project leader Gary May. After some delay due to the extreme drought, the water-delivery fixtures and solar controls were completed in August of 2017. 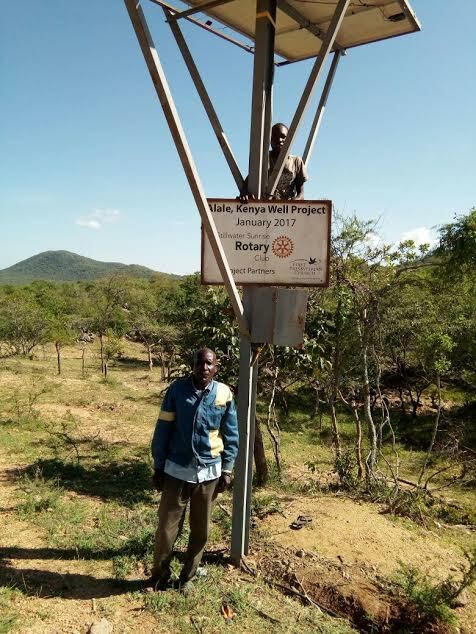 Thank you to Stillwater Rotary, the Partner Rotary Clubs, Ed Boeve, Michael Kimpur, Gary May, Lenny and Sandy Snellman, Pastor Evans Kiptoo, Kenya Board member Bosco Loris, and all the village elders in Alale. Some additional funding was required so thank you to all those who volunteered their time, contributions, and prayers during the process. Daylight has spent the August summer break preparing for September classes. Students are helping their family bring in the harvest, spending time playing soccer, and hanging out with friends. At Daylight, we are hard at work cleaning desks and organizing lessons. 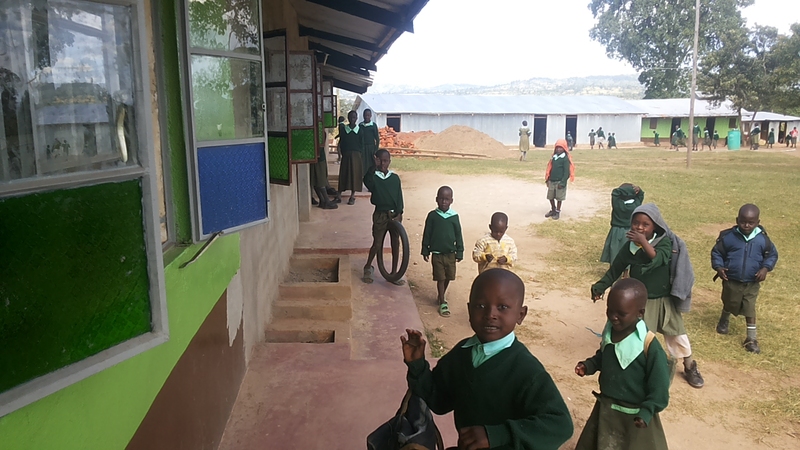 The 1st – 3rd grade classrooms are under construction to get them ready for school to start in September. 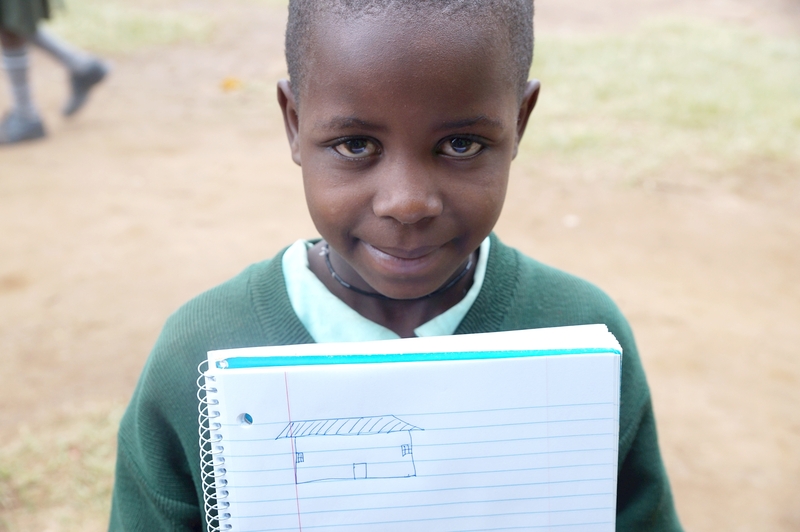 Sarah is excited about studying in the new 3rd grade classroom. Sarah is pretty amazing. She is the goalkeeper in her class’s soccer games. She wants to be an artist, and her favorite subject is math. She drew a sketch of the new classroom! For the last few years, Sarah and her fellow early elementary school students have been studying (and, as you can see, having fun) in their corrugated tin-walled temporary classroom. 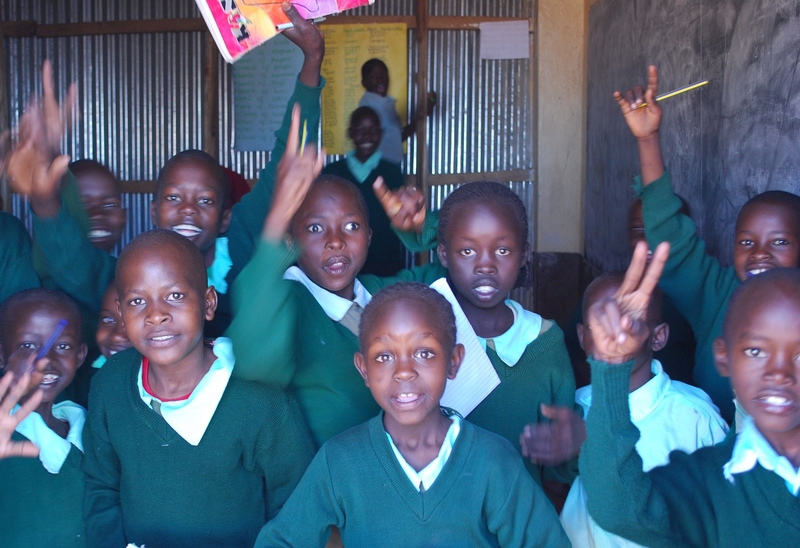 This year, we were able to construct a new brick classroom building for these amazing students to study in! 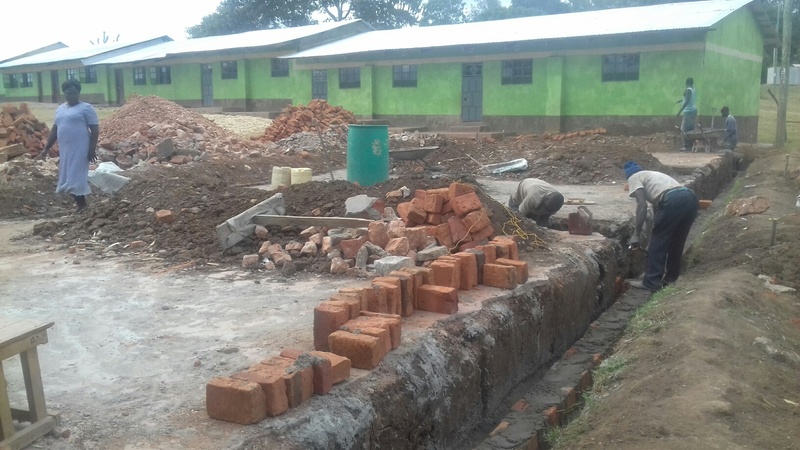 With support from Autumn Ridge Church and local builders, we got the bricks laid and the walls up. 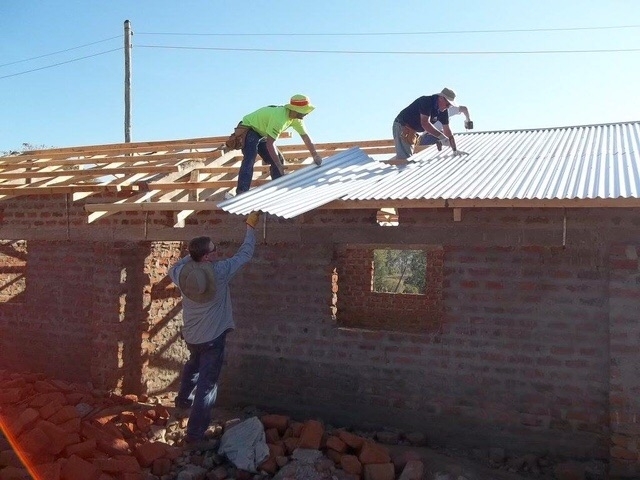 In March, the Autumn Ridge team came and helped roof the classroom. 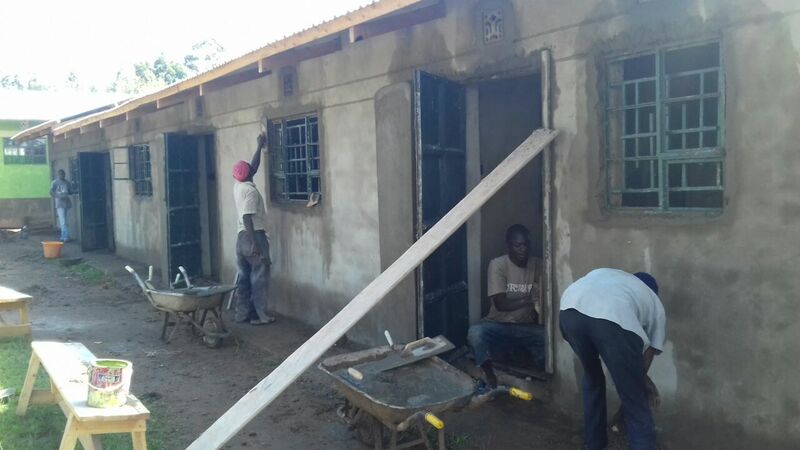 With support from Kenyan builders, donor Emilie Robinson and Daylight’s US partners, the builders are now busy putting on the finishing touches to get ready for our kids to study in September! When the 1st, 2nd, and 3rd graders come back to school, they will have a great new classroom! Thank you for supporting Sarah and the rest of the 400 students studying at Daylight!